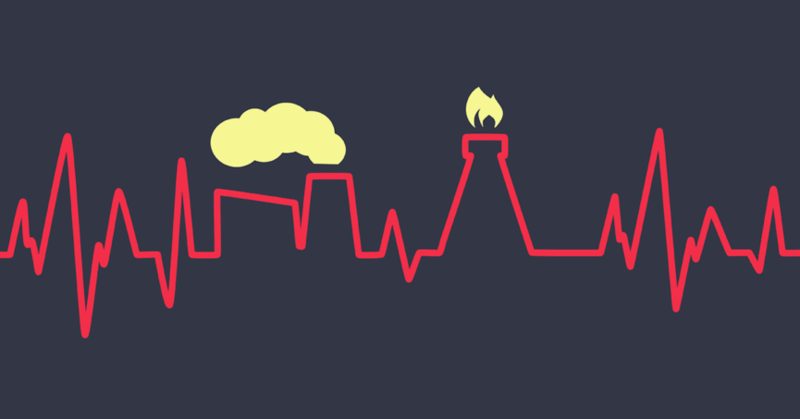 HCF becomes Australia’s first health fund to divest fossil fuels! HCF – the private health fund for over 680,000 Australians and responsible for $2 billion of assets – has confirmed that it is divesting from fossil fuels! This is an Australian first for a health insurance fund and what makes HCF’s announcement all the more important is the fund’s recognition that fossil fuels are harmful to the health and well being of their members. Do you have private health insurance? Click here to contact your fund and ask them to divest. Based on HCF’s announcement, this is likely to mean about $20 million in fossil fuel shares dumped by the fund. Over the last several years, health funds have lead the broader divestment out of tobacco, and in many cases munitions too, finally acknowledging the hypocrisy of investing in products destructive to human health. Yet health funds have resolutely ignored the health impacts of fossil fuels, and the resulting impacts of climate change – until now. Medical bodies around the world have communicated the systemic threat climate change poses to public health, including the Lancet and locally, the Australian Medical Association and the Royal Australian College of Physicians. Private health funds in Australia collectively manage about $12.8 billion (as at 30 September 2016). Approximately 11% or $1.42 billion of that amount is invested in equities, which is likely to be evenly distributed between Australian and international markets. But almost all their equities exposure is likely to be passive, i.e. automatically tracking an index. A wave of health funds divesting from fossil fuels may be the catalyst for passive index managers like Blackrock, State Street and Vanguard to finally produce a fossil fuel free product for the Australian market. You can help make it happen by contacting your health insurer with the form below. Though the assets managed by the private health fund industry pale in comparison to the superannuation industry, divestment across the sector would send a clear signal to the rest of the investment community about the health impacts of fossil fuel use and climate change. At this stage, HCF is the only Australian health fund to have divested from fossil fuels. Yet, given their vulnerability to a public campaign, HCF is unlikely to be the last. If we needed a textbook definition of hypocrisy – then health funds investing in assets destructive to human health is surely it. I am a member of yours and I recently learned that health insurers HCF, Medibank and NIB have announced their divestment from fossil fuels, due to their negative impacts on human health. Latrobe Health Services, Doctors Health Fund and Westfund have also confirmed their investments are fossil fuel free. I would like to know what proportion of your investment portfolio is invested in fossil fuels - including coal, gas & oil companies in addition to fossil fuel infrastructure. These companies are the primary sources of carbon emissions causing dangerous climate change, which is already having measurable impacts on public health. Fossil fuel extraction, transportation and combustion also directly cause pollution and ecological destruction - having terrible impacts on human health across the globe and in Australia. One clear example of this is the growing concern over miners in Queensland and New South Wales being diagnosed with black lung disease and other respiratory illnesses. The Lancet, the world’s foremost medical journal has described climate change as the “biggest global health threat of the 21st Century”. Here in Australia, the Royal Australasian College of Physicians (RACP) divested from fossil fuels in 2015, saying: "The RACP is committed to leadership in reducing the adverse health impacts and realising the potential health benefits of climate change. As a first step in reducing its own carbon footprint, in 2015 the RACP decided to divest from all financial holdings in or directly linked to fossil fuel industries.” I would find it incredibly hypocritical if my fund is invested in fossil fuels when the latest science suggest that they are causing a global health catastrophe. Please advise of your plans, if any, to reduce your exposure to fossil fuels. And if you don't have any fossil fuel investments, then I would like to see a commitment from you that you won't be investing in them in the future, like Latrobe Health Services has done. For the record I would like to state that for the reasons outlined above, I want a health insurer that is not investing my money in the fossil fuel industry and never will. If you are unable to guarantee this, then I will start looking for an alternative fund that can. I look forward to your response. Dear Bupa I am a member of yours and I recently learned that other health insurers HCF, Medibank and NIB have announced their divestment from fossil fuels, due to their negative impacts on human health. I’ve also heard that Latrobe Health Services, which, like Bupa, currently doesn’t have any equity investments, has pledged not to invest in fossil fuels in the future. I am writing to ask that as a company that’s interested in promoting good health among your customers, you make a similar public commitment to never investing in coal, oil and gas companies and infrastructure. These companies are the primary sources of carbon emissions causing dangerous climate change, which is already having measurable impacts on public health. Fossil fuel extraction, transportation and combustion also directly cause pollution and ecological destruction - having terrible impacts on human health across the globe and in Australia. One clear example of this is the growing concern over miners in Queensland and New South Wales being diagnosed with black lung disease and other respiratory illnesses. The Lancet, the world’s foremost medical journal has described climate change as the “biggest global health threat of the 21st Century”. Here in Australia, the Royal Australasian College of Physicians (RACP) divested from fossil fuels in 2015, saying: "The RACP is committed to leadership in reducing the adverse health impacts and realising the potential health benefits of climate change. As a first step in reducing its own carbon footprint, in 2015 the RACP decided to divest from all financial holdings in or directly linked to fossil fuel industries.” When the latest science suggests that fossil fuels are causing a global health catastrophe, I’d like to be reassured that my premiums will never be used to worsen this crisis. Please advise if you are willing to commit to never investing in fossil fuel companies. If you won't, then I will consider shifting to a health insurer who will. I look forward to your response. Are you interested/willing to switch to a fossil free health insurer? “Fossil fuels are a major contributor to air pollution, which is now close to tobacco as a leading cause of death globally. Moreover, the greenhouse gas emissions from burning fossil fuels will put people’s health at risk for generations as climate change impacts take effect. “Responsible health organisations are making a stand and we are delighted that HCF has decided to join them and divest from fossil fuels.